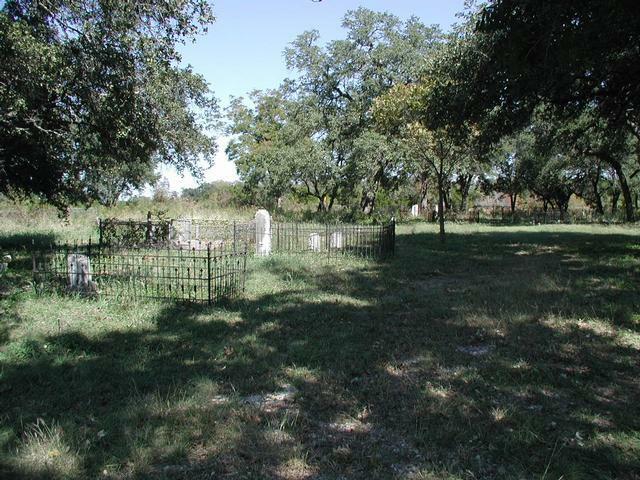 Pond Springs Cemetery at the time of its first known burial in 1862 was a rural area, far removed from the state capital of Austin. Now, the plot finds itself in one of Austin's fastest growing areas near busy intersections with scores of cars zooming by at all hours of the day and night. Several of the graves at Pond Springs feature iron fencing. According to the historical marker that sits at the entrance to the cemetery, Pond Springs' oldest known grave is that of Mrs. Asenath M. Stewart, who passed away in 1862. 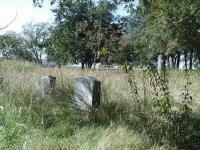 However, it was not until many years later, in 1872, before the area became officially designated as a cemetery. E.Z. Zimerman was born over 200 years ago. 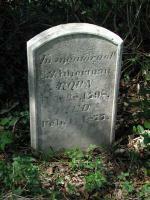 The oldest headstone that we could make our on our visit was that of Polly M. who passed away in 1869. 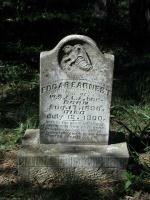 One of the interesting things about her tombstone is her identification as a "consort of R. T. Gault". Only a few feet away lies the grave of Elizabeth who died in 1874 and is identified as a consort of W. A. King. A last name is not mentioned for either woman. The majority of the graves appear to be for people who died between the 1880's and the 1930's. 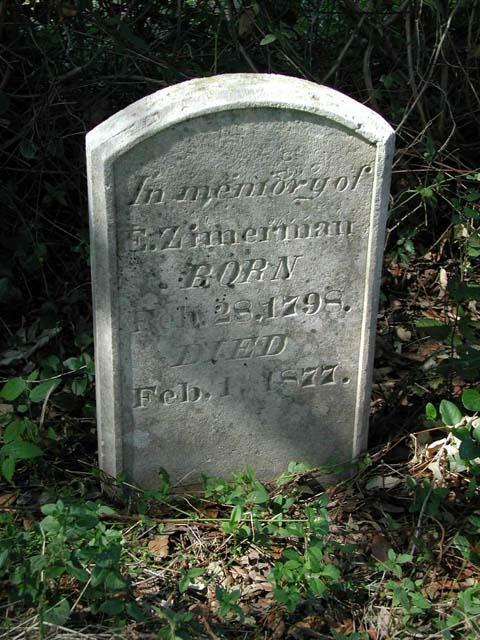 The person buried at Pond Springs who was born the earliest may well be E. Z. Zimerman. 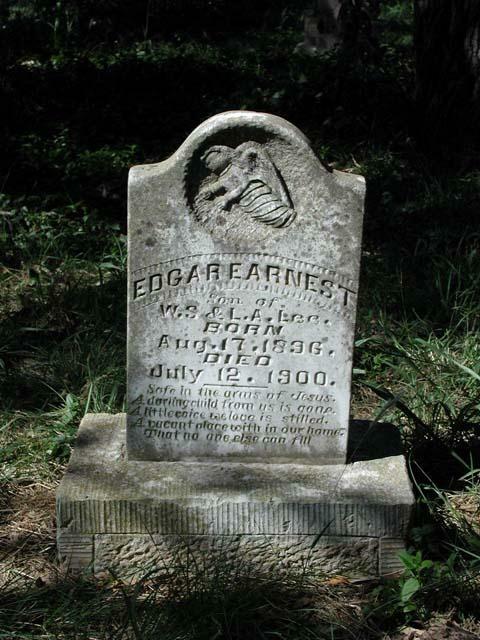 His tombstone marks the time of his life from February 28 1798 through February 1, 1877. There's no telling where E. Z. was throughout his life, but he would have been a teenager at the time of the War of 1812 and in his late 30's at the time of the Texas Revolution. The graves of children are often the most touching to be found. Although the cemetery is largely abandoned, saved for an occassional facelift, it has been used to lay to rest those who recently passed away. The latest marker indicates that a member of the Hammack family was laid to rest there in 1993. 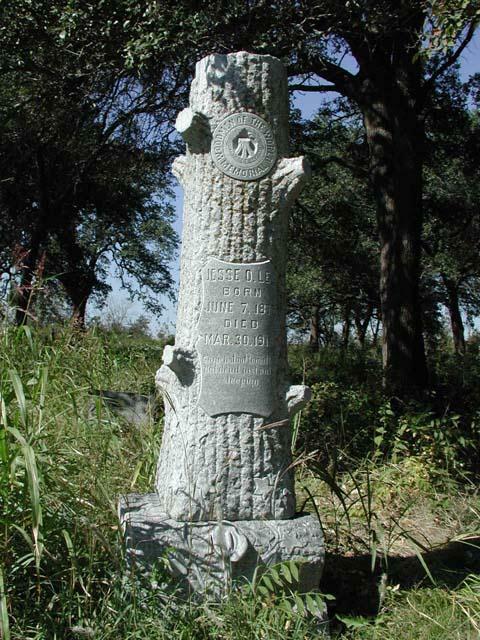 There are numerous other Hammack family plots in the area, including one marked by the name "Hammock". Typically, the saddest tombstones in a cemetery are those of the deceased children, and that's no different here. What is particularly touching at Pond Springs is a combination of markers for four Beck children who passed away between August 30 and September 15, 1888. Eddie, Harry, Scotty and Emily share a common large marker and individual, less elaborate markers with their names. No other dates are given, so we assume that these children died soon after childbirth. One of the more interesting markers in the cemetery. The markers for several other children can also be found in the cemetery. Some of the quotes etched into the stone testify to their parents faith. 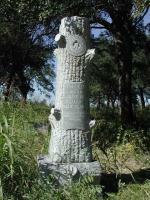 The tombstone of Wade Henry, Jr. (Dec. 6-20, 1886) reads, "Called from earth to bloom in heaven". A similar quote can be found on another marker. The tombstone of Joseph Decker (Sept. 14-26, 1898) solemnly proclaims, "God blesses in early death". Some of the surnames that can be found in the cemtery include Beck, Campbell, Decker, Ehrhardt, Hammack, Henry, Jackson, King, Lee, McClure, Rutledge, Stewart, Toungate, Walden, Ward, and Zimerman. A few of these names are also prominent in other nearby cemeteries. In particular Ehrhardts, Henrys, Toungates and Waldens (though no certain relationship) can be found in either the Davis Cemetery or the Rhodes Cemetery. Pond Springs receives occassional attention, so on a visit you may find freshly mowed grass, or you may find waist-high weeds. Until a couple of years ago the cemetery was opposite the WalMart shopping center surrounded by undeveloped land. Recently a large apartment complex has been built right next door to the cemetery with some apartment balconies overlooking the graves. An access road to the back of the apartment complex snakes around the back of the cemetery meeting the road on the opposite side, so its now surrounded by development or roads. The full text of the historical marker at the cemetery's entrance can be found here. I stopped by for a visit to make my log official. Photos here are from a previous visit. One my original visit a long time ago there was no auto dealer next door. Though things are more closed in the cemetery seemed better kept. Perhaps the local businesses have a reason to help keep things clean?